Sailing Whitsundays is an Airlie Beach based travel agency that offers day and overnight sailing adventures amongst the beautiful Whitsunday Islands of Northern Queensland. From exploring some of the most colourful reefs in the world, to relaxing on beautiful beaches, we are here to help you with every aspect of your holiday! We are great at what we do and will make sure you walk away happy with your Whitsunday experience. Sailing Whitsundays is updated daily with original content to ensure accuracy and the best customer service possible. Customers can rest assured all advertised prices will be honoured, and we will always help you get the best deal possible. The Whitsundays are one of Australia’s top destinations both nationally and internationally. With endless stretches of beaches, crystal clear waters and beautiful weather, it’s easy to understand why people come from all over the world to visit this amazing place that we call home. We can help you discover some of the 74 Whitsunday Islands by assisting you in choosing the right tour that will allow you to see the Whitsundays your way. Whether that is by swimming, snorkelling, diving, or visiting Whitehaven Beach, we will ensure you enjoy the beauty of the tropics! Whatever you choose, your crew will cater to all your needs, showing you the best parts of the islands, allowing you to relax and enjoy the company of your family, friends and new travel mates. With tours ideal for families, couples, backpackers and all types of groups, there is something for everyone. 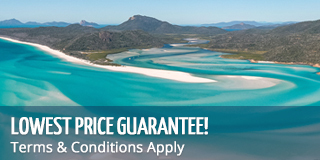 Sailing Whitsundays is a fully licensed Australian Travel Agent - TAC no. 3178713. Our Office is located in the Main street of Airlie Beach. We are here to help you both before and after your trip around the Whitsunday islands. Sailing-Whitsundays.com are the local experts in everything travel. Offering unbeatable prices in overnight sailing tours and day tours, we will help you discover the Whitsundays the way you want. Sail, snorkel, or dive on the tour of your choice and explore Australia’s tropical island paradise in the best way possible. There is a tour for everyone, let us help you find yours. Cruise The Whitsundays On A Catamaran - Top 5 Must Book In Advance - 2019 Filling Fast! Family Friendly Ovenight Tours - Hurry, Filling Fast Over Holidays! Sailing Whitsundays Most Popular Day Tours - Options For Everyone!